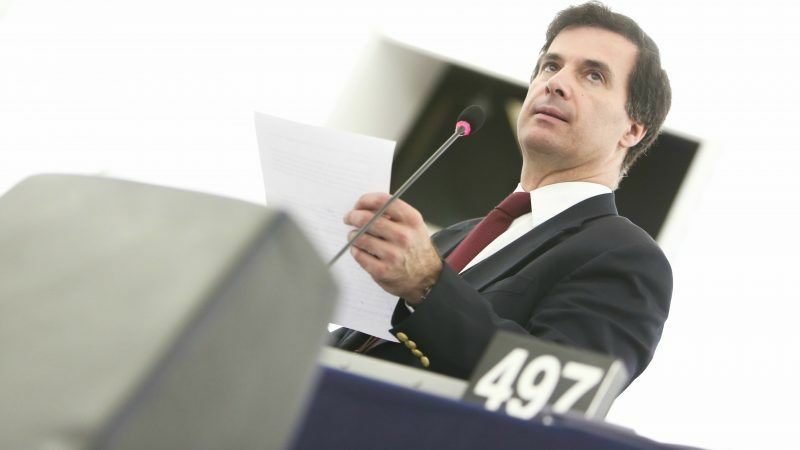 The Portuguese lawmaker behind the most recent European Parliament resolution on the safety of offshore drilling explained to EURACTIV why he opposes moves to open up oil and gas fields in European waters, not least in his home country Portugal. José Inácio Faria is a Portuguese Member of the European Parliament for the centre-right European People’s Party (EPP). Faria drafted a Parliament resolution on international ocean governance, which was voted on in January. He spoke to EURACTIV’s Robert Hodgson. 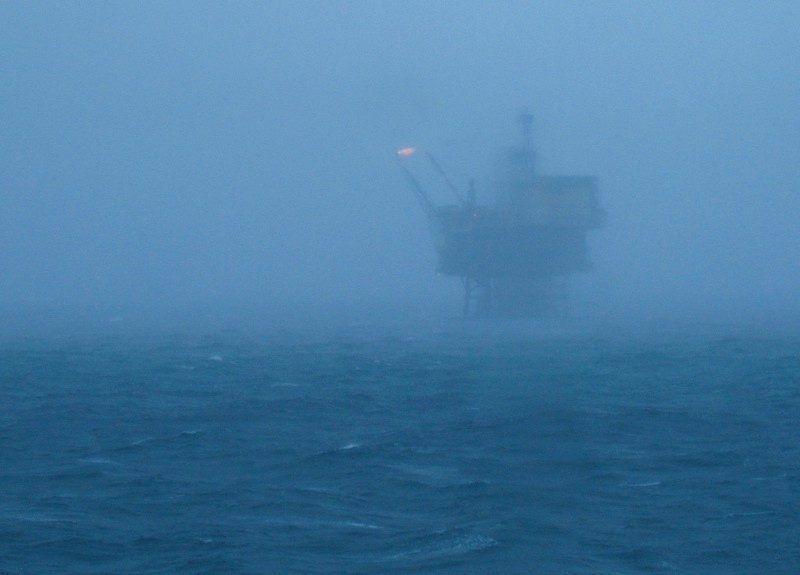 The oil industry is convinced of the benefits of further exploitation of offshore oil reserves in European waters and has argued it can be economically viable even at current low oil prices. But the European Parliament is less enthusiastic, having adopted three resolutions over the past year and a half that call on the EU executive to introduce restrictions on the possibilities for further exploration. In an interview this week, Faria also called for a reform of the “inadequate” 2013 Offshore Safety Directive, which only comes into full effect later this year. “I am not a fan of oil, to tell you the truth, and I think there are alternative solutions,” Faria said. “How is it possible to comply with EU goals to decarbonise the economy by 2050 if we are going to start drilling now,” he said. Europe is hardly the first place that springs to mind when thinking about the world’s major oil producing regions, and there is a perception that the domestic industry has already seen its heyday, particularly in the North Sea. Offshore drilling is a live issue in Portugal. Even as grassroots campaigns against the award of exploration concessions were gathering steam, Minister of the Sea, Ana Paula Vitorino, was inviting oil and gas companies into Portuguese waters. “Deep offshore hydrocarbon exploration and production is another area where investment from US companies is welcome,” Vitorino said at a conference hosted by a Washington think tank in 2016. “I wondered what she meant, because it was totally against the proposal made in the national election campaign,” Faria said. Portugal might not have to wait for the arrival of US firms to see the first test wells drilled since an initial batch of exploration concessions were awarded in 2007. A consortium of domestic firm Galp and Italy’s ENI plans to drill a test well off the coast of the Algarve later this year, after the government has concluded an ongoing public consultation over whether or not an environmental impact assessment is necessary. Faria shares the concerns of many Portuguese that oil drilling could be disastrous for Portugal’s tourism industry. “If you have a country whose main revenue is tourism, why are you going to mess around with the environment,” he asked. “We don’t know what we are going to extract from there, and we are going to kill an industry that is very lucrative for us – and that applies to many other member states like Greece or Italy,” Faria said. The Greek government, however, appears to share Lisbon’s enthusiasm for tapping hydrocarbon wealth. Athens last month awarded concessions for onshore and offshore oil and gas exploration to firms such as France’s Total. Energy minister George Stathakis described interest in a new round of tenders from firms including Exxon this month as “a vote of confidence in the prospects of the Greek economy”. 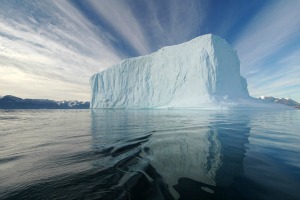 The European Parliament has tackled the issue of offshore drilling in three recent resolutions. The most recent, on international ocean governance adopted in January, was drafted by Faria himself. It stated that “no oil or gas exploration or drilling should be permitted in or near Marine Protected Areas or vulnerable areas of high conservation value”. A year ago, MEPs endorsed a resolution on an integrated European Union policy for the Arctic, which called for a ban on drilling in “icy waters” – but not the Arctic as a whole. “Much has been done by the European Parliament…What we see is a lack of political will at the member state level, and I’m not just talking about the Council, but also national policy,” Faria said, again citing his own government as an example. The European Parliament’s industry committee has rejected attempts to introduce a moratorium on offshore oil and gas drilling in the Arctic, overruling a contrary vote by its environment committee last month. 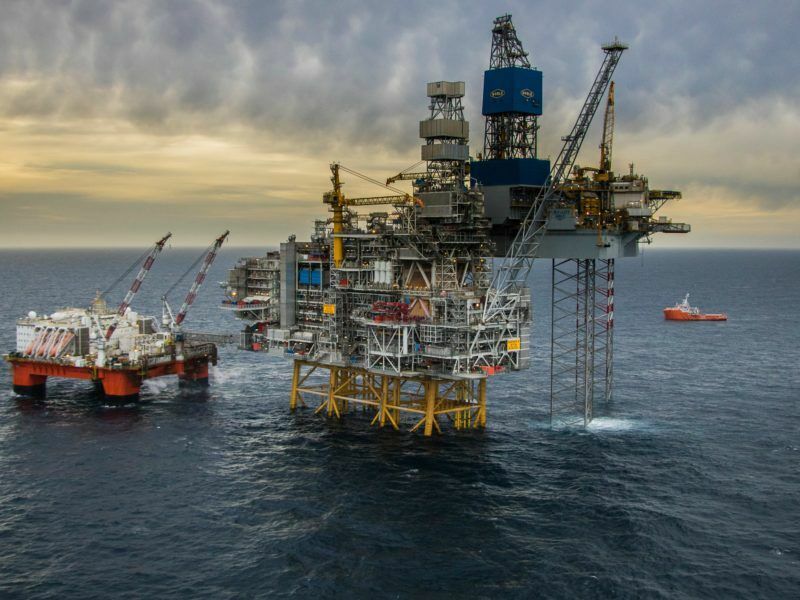 An earlier resolution on liability, compensation and financial security for offshore oil and gas operations, adopted at the end of 2016, was harshly critical of the 2013 Offshore Safety Directive. The OSD was Europe’s response to the catastrophic oil spill in the Gulf of Mexico in 2010 caused by BP’s Deepwater Horizon drilling platform. The European Parliament “deplores the fact that under the OSD and ELD [environmental liability directive], incidents are defined as ‘serious’ only if they give rise to deaths or serious injuries, with no reference to the consequences for the environment”, it stated. Parliamentary resolutions are not legally binding, but the European Commission is expected to consider them as the basis for possible legislation. So has there been any sign that proposals are in the offing? “No, which is a pity,” said Faria. “There is a lot of lobbying behind all this, let’s be honest,” he said. “We have very important lobbyists saying ‘we need this and it’s very safe…it will benefit everybody’,” he said. The Portuguese lawmaker is also critical of the “sparse and disconnected” nature of much of the EU’s environmental legislation. “We still have more than a year to go to the end of this parliamentary mandate, and we have to progress on these issues,” he said. And Faria reckons the Offshore Safety Directive is ripe for reform. “It is already very old, and it is not adequate,” he said. One reason is that the European Commission had to abandon plans to frame the legislation as a Regulation amid pushback, notably from the UK, and the final legislation took the form of a Directive. The distinction, Faria says, is an important one. It is up to EU member states to decide how to incorporate a directive into their national legislatures, while a Regulation is automatically binding on all 28 countries. “I believe that in issues of security, safety and environmental protection, it has to be regulated at the European level, not left to the subsidiarity principle to rule on these issues. This is one planet and we breathe the same air,” Faria said. Faria also thinks the directive’s focus on making companies liable for the environmental damage they cause should be extended to governments. “Operators operate because they have a mandate, and who gives them a mandate? Member states,” he said. There are already grumblings in the corridors and cafes of the European Parliament building, Faria hinted. So would he be ready to launch a resolution initiative himself? “I would like to, because in my country now, we don’t know what is going to happen down there [under the sea].” he said. Faria – whose Partido del Terra (Earth Party) describes itself as ‘green conservative’ – is a member of the centre-right European People’s Party (EPP) group, which is not typically perceived as the home of such outspoken views on environmental matters. In a recent vote, Faria was the only member of the 219-strong EPP caucus to back a call for the European Investment Bank to disclose details of financing for the car industry for diesel development after the EU anti-fraud office Olaf suggested the German firm had misled the bank to secure a €400m loan. “Sometimes members of other political groups ask me, and I tell them it is fantastic to have a green guy in the EPP,” he said. “You have environmentalists in almost all groups. In the EPP, it’s not just me. I’m not always alone,” he said.